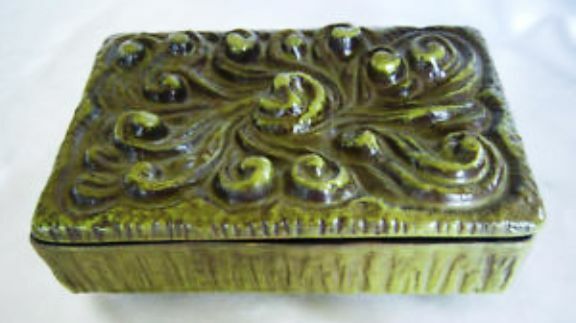 Every once in awhile we stumble across some truly beautiful and unique items, usually from an unexpected source which helps to make the find even more special. A recent shopping expedition produced a number of terrific items that will be offered for the first time this Sunday, June 26th at the Tustin Flea Market in Tustin, California, a.k.a. The Jamestown Vintage Flea Market. 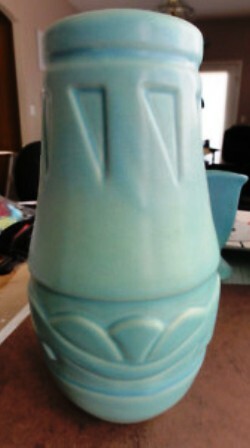 One special find were two Weller Loru vases from the late 1930’s. 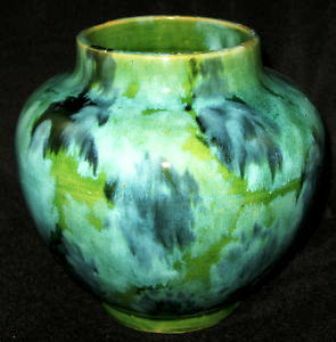 When we first noticed them we were struck by how similar the glaze color was to the Mulberry Glaze being employed by Van Briggle during the same time period. 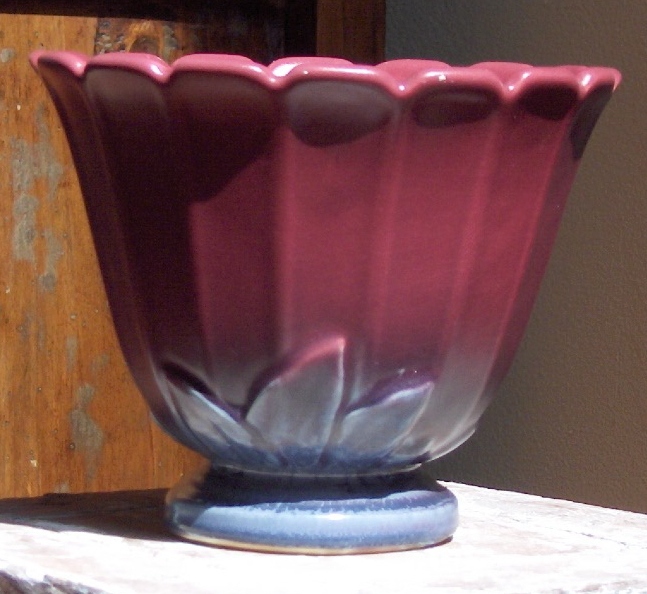 I am sure it was one of those “secret glazes” that mysteriously made an appearance at a rival pottery company. Ah the espionage of the mid 1930’s pottery business! So if you’d like to stop by and let us tempt you with our newly acquired treasures we can be found tomorrow, Sunday, June 26th at the Tustin Flea Market, 474 El Camino Real, Tustin from 8:00 AM until 3:00 PM, free admission. Space #45. We hope to see you there! 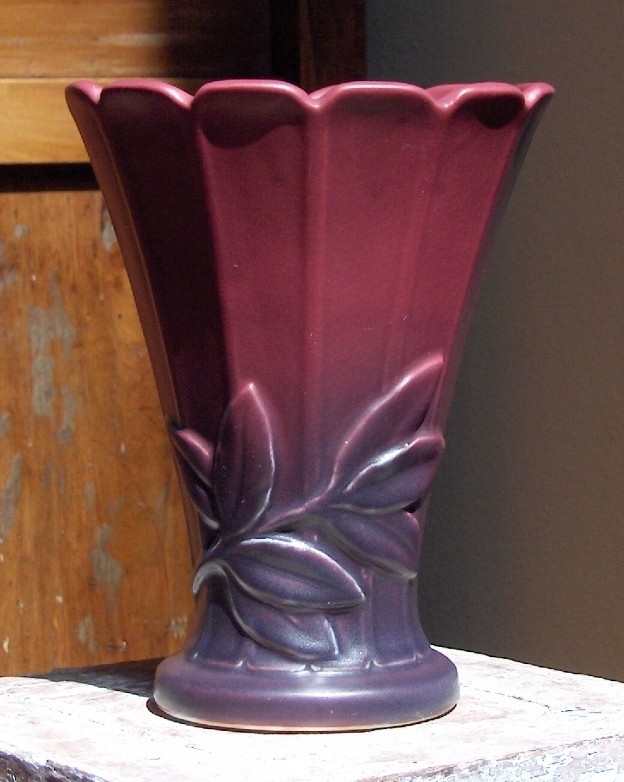 Oh that Weller vase is really pretty, did it sell today? If not I’ll have to see it at your next event.. Thanks for your kind words and yes that beautiful Weller vase is still available. I will respond to you with more details to your personal e-mail. We will be in Long Beach on July 17th and will gladly hold it for you until then. Have a great 4th of July holiday. Please send me your direct e-mail to billyblueeye@cox.net as I cannot contact you through twitter. Thanks!